Summer 2014 Team 3: "Expectancy Theory"
The Expectancy Theory of Motivation is best described as a process theory. With research pioneered by Edward C. Tolman and continued by Victor H. Vroom, Expectancy Theory provides an explanation of why individuals choose one behavioral option over others. The idea with this theory is that people are motivated to do something because they think their actions will lead to their desired outcome (Redmond, 2009). "Expectancy theory proposes that work motivation is dependent upon the perceived association between performance and outcomes and individuals modify their behavior based on their calculation of anticipated outcomes" (Chen & Fang, 2008). In other words, it can help explain why a person performs at a particular level. This has a practical and positive potential of improving motivation because it can, and has, helped leaders create motivational programs in the workplace. This theory provides the idea that an individual's motivation comes from believing they will get what they desire in the form of a reward. "Although the theory is not "all inclusive" of individual motivation factors, it provides leaders with a foundation on which to build a better understanding of ways to motivate subordinates" (AETC, 2008). Expectancy theory is classified as a process theory of motivation because it emphasizes individual perceptions of the environment and subsequent interactions arising as a consequence of personal expectations. There is a positive correlation between efforts and performance. Favorable performance will result in a desirable reward. The reward will satisfy an important need. The desire to satisfy the need is strong enough to make the effort worthwhile (Lawler, Porter. L., Vroom, 2009). Born in Newton, Massachusetts in 1886, Edward Tolman was a cognitive behavioral psychologist who studied motivation and learning. While studying Gestalt psychology in Germany, Tolman and his research partner C.H. Honzik developed a theory on latent learning through their experiments with rats. They found that rats navigated a maze much quicker when they expected a reward for doing so. (Tolman, E. C., & Honzik, C. H. (1930)). The theory also described learning with no obvious reward for those rats who learned to successfully navigate the maze only to find no food. Tolman later began to develop a theory of behavior and motivation. He theorized that motive drives a person to continuously behave a certain way until some intrinsic need is met. This idea was the beginning of what would become theories of motivation. Victor Vroom added to Tolman’s work with the Expectancy theory in history (VanderZwaag, 1998). As an international expert on leadership and decision making, the Expectancy Theory of Motivation was suggested by Victor H. Vroom. He was named to the original board of officers of the Yale School of Management when it was founded in 1976. Vroom has focused much of his research on dealing with motivation and leadership within an organization. His 1964 book called Work and Motivation became one of the most influential books on the subject of motivation. He has served as a consultant to a number of government agencies, as well as more than 100 major corporations worldwide, including General Electric and American Express. He is currently a professor at the Yale School of Management at Yale University. Vroom's Expectancy Theory addresses motivation and management. The theory suggests that an individual's perceived view of an outcome will determine the level of motivation. It assumes that choices being made maximize pleasure and minimize pain. This is also seen in the Law of Effect, "one of the principles of reinforcement theory, which states that people engage in behaviors that have pleasant outcomes and avoid behaviors that have unpleasant outcomes" (Thorndike, 1913). Vroom suggests that prior belief of the relationship between people's work and their goal as a simple correlation is incorrect. Individual factors including skills, knowledge, experience, personality, and abilities can all have an impact on an employee's performance. Vroom theorized that the source of motivation in Expectancy Theory is a "multiplicative function of valence, instrumentality and expectancy." (Stecher & Rosse, 2007). He suggested that "people consciously chose a particular course of action, based upon perceptions, attitudes, and beliefs as a consequence of their desires to enhance pleasure and avoid pain" (Vroom, 1964). Expectancy can be described as the belief that higher or increased effort will yield better performance. This can be explained by the thinking of "If I work harder, I will make something better". Conditions that enhance expectancy include having the correct resources available, having the required skill set for the job at hand, and having the necessary support to get the job done correctly. Instrumentality can be described as the thought that if an individual performs well, then a valued outcome will come to that individual. Some things that help instrumentality are having a clear understanding of the relationship between performance and the outcomes, having trust and respect for people who make the decisions on who gets what reward, and seeing transparency in the process of who gets what reward. Valence means "value" and refers to beliefs about outcome desirability (Redmond, 2010). There are individual differences in the level of value associated with any specific outcome. For instance, a bonus may not increase motivation for an employee who is motivated by formal recognition or by increased status such as promotion. Valence can be thought of as the pressure or importance that a person puts on an expected outcome. Vroom also believed that increased effort would lead to increased performance, given the person has the right tools to get the job done. The expected outcome is dependent upon whether or not the person has the right resources to get the job done, has the right skills to do the task at hand, and they MUST have the support to get the job done. That support may come from the boss or by just being given the right information or tools to finish the job. Although many people correlate high performance with high rewards, many times the theory is limited because rewards are not always directly correlated with performance in many organizations. It is also related to other parameters such as position, effort, responsibility, education, etc. It is important to remember that there is a difference between incentives and motivators. Incentives are non-material objects. They are manipulated by managers and leaders in order to get employees to do desired tasks. Incentives may work, if the incentive is something the employee desires, however if the incentive is taken away, the behavior may not sustain. Motivation theories need to accentuate motivation and not incentives. For this reason, motivation implies that people make decisions about their own behavior and what motivates them. The locus of control is different for incentives and motivation. Motivation is intrinsic control where incentives are extrinsically controlled by people in the organization (Mathibe, 2011). These components work together to establish our Motivation Force (MF). The diagram below shows the elements involved in each component of MF; while the second diagram illustrates the relationship of each component. "The relationship between Effort and Performance is known as the E-P linkage" (Isaac, 2001). "The expectancy component of expectancy theory is the belief that one's effort (E) will give the expected performance (P) goal" (Scholl, 2002). Expectancy is slated as the first component of the VIE theory; illustrating that in order for a person to be effectively motivated, the individual needs to perceive that their personal expenditure of effort will result in an acceptable level of performance. The concept of perception is very important throughout this theory, as it concludes that in order for a person to be motivated into putting effort towards a task, they need only to believe that their effort will result in a certain level of performance, or that a certain level of performance is attainable. An example would be, "If I salt the sidewalk, will it be safer to walk on?" There are variables that affect an individual's expectancy perception. These variables include self-efficacy (a person's belief in their ability to perform successfully), goal difficulty (how attainable is this goal), and control (does the person actually have control over the expected outcome). Because VIE Theory involves perceptions, and expectancy is a belief about the future rather than a concrete existence in the environment, people's beliefs can vary greatly (Redmond, 2010). This means that while one person perceives their efforts to lead to a great accomplishment, another person may believe their same effort will not lead to much accomplishment at all. This difference in perceptions is due to many factors. Two factors that can affect expectancy are ability and interest (Redmond, 2010). "Lack of ability or interest will decrease a person’s expectancy. With proper training and a high interest level, people will have an increased level of expectancy. Employers, for example, need to keep this in mind as they create ways to help motivate their employees. By encouraging employees and building self-efficacy, managers can increase employee expectancy" (Redmond, 2010). What is the strength of the relationship between the effort I put forth and how well I perform? If I spend most of tonight studying, will it improve my grade on tomorrow's math exam? If I work harder than everyone else in the plant, will I produce more? If I practice my foul shot more, will my foul shooting improve in the game? If I make more sales calls, will I make any more sales? The following video gives great insight in its presentation of the Expectancy Theory. The second component in the Expectancy Theory equation is Instrumentality. Instrumentality is the perception that a given performance level is related to a given outcome. In other words, a person's belief that a given output will facilitate a given reward (outcome). A person will only perform at a certain level if they believe that the performance will lead to a given expressed outcome. The relationship is represented by the P-O linkage (Isaac, 2001). The instrumentality component of Expectancy Theory is the person's belief that if they can meet performance expectations, they will receive "a great reward" (Scholl, 2002). An example of instrumentality of Expectancy Theory would be, "If I complete more work than anyone else, will I get a promotion before they do?" The variables affecting instrumentality are trust (in leaders), control, and policies (how formalized are rewards systems in written policies?) (Scholl, 2002). Something is considered instrumental if it is conditional upon something else, or is believed to directly result into a particular outcome (Redmond, 2010). Remembering the influential element of perceptions and beliefs, what people believe to be an outcome may not be the actual outcome resulting from their performance. "If people do not see a connection between their performance level and a possible outcome, they are less likely to be motivated" (Redmond, 2010). What is the strength of the relationship between the things I do and the rewards I get from my actions? If I get a better grade on tomorrow's math test will I get an "A" in math? If I produce more than anyone else in the plant, will I get a bigger raise? A faster promotion? If my foul shooting improves will I have a shot as a team MVP? If I make more sales will I get a bonus? A greater commission? If I make more sales will I believe that I am the best sales person or be recognized by others as the best sales person? Valence is the final component of VIE theory. Valence is characterized by the extent to which a person values a given outcome or reward. It is important to note that valence is not the actual level of satisfaction that an individual receives from an outcome, but rather it is the EXPECTED satisfaction a person receives from a particular outcome (Redmond, 2010). This “value” is based in individual differences. The value a person places on an expected outcome or reward is directly related to who they are; their needs, goals, and values/preferences. For example this could include things such as paid time off, extra cash bonuses, or raises. This subjective value is based on the individual's perceptions, attitudes, and beliefs. "The level at which an individual values an outcome is described as it's valence" (Gerhart, Minkoff, Olsen, 1995). Valence can include a range from both a postive to negative outcome. A negative outcome is something that a person percieves as being an outcome that would lead to dissatisfaction. A positive outcome would occur if a person views it as being good and also being more valued than other outcomes like after a promotion. How valuable do I perceive the potential reward(s) to be? How much I really want an "A" in math? Do I want a bigger raise? Is it worth the extra effort? Do I want a promotion? How important is it to me to be team MVP? Do I need a sales bonus? Is the extra time I spend making extra sales calls worth the extra commission? Is it important to me that I am the best salesperson? Valence is a key component when management is faced with motivation issues. If management understands the desired outcomes from their employees, they can design and build a reward system that is perceived to be satisfactory. Conversely, if management ignores the valence component and implements a common “one size fits all” bonus and rewards system, it could lead to a lack of production and motivation. The reward system must be valued by the employee. “When an ambiguous reward structure is in place or where a workplace lacks specific rules and policies, employees have few clues as to what acceptable behavior is and will find it difficult to ascertain what rewards they may obtain for their efforts (Chen and Feng, 2007).” Ambiguity is contrary to VIE Theory. Employees and management must have a clear understanding of what is valued in order to promote and practice high motivation. The chart above is referenced from Dr. Dennis Nelson (2013). Simply put, the challenges we face and the feedback we get when trying to reach the goals that we have made are the motivational forces that drive us. I'm sure that Vroom would agree, based off his statement, "As the Motivational Force (MF) is the multiplication of the expectancy by the instrumentality it is then by the valence that any of the perception having a value of zero or the individual's feeling that "it's not going to happen", will result in a motivational force of zero" (Vroom, 1964). Basically this states that "motivational force" occurs when expectancy, instrumentality, and valence are all met. Noticed within our individual case study, all employees except 1 expectancy, instrumentality, and valence were met resulting in 84% retention. David ultimately left not because of the hold on advances but because in his eyes he was overall not satisfied with his status after 16 years of service to the company. The valence was 0 which had a direct effect on his expectancy and instrumentality. Expectancy Theory or "VIE Theory" is based on the premise that motivation occurs when three specific conditions are satisfied: effort, performance, and outcome. Think of motivation as a chain where each link represents a condition, and the intersection of each link represent its components: expectancy, instrumentality, and valence. Within the chain, a person expects their effort to result in some level of performance (expectancy). The perceived or expected outcome of their performance level will be considered instrumental to the outcome (instrumentality). Finally, a person will place subjective value on their belief about the outcome (valence). This value will determine how satisfactory the outcome is to them. Among the many factors that influence expectancy, such as ability or interest, perception is perhaps the most significant factor. Perception is the engine that drives the belief of effort, performance, and outcome. Thus, if any one condition is perceived that it will be low, motivation will be low - just as the bond between links affects the chain. Because beliefs can vary, however; a subjective probability formula that is multiplicative in nature is used to more accurately measure expectancy and arrive at a predicted motivational force (represented as a number). The higher the number, the higher the motivation, with each component having its own probability range. A motivated employee is thus the product of the perceived level of satisfaction, the confidence to achieve, and the rewards that the employee hopes to receive on achieving the set goals. In other words, valence * expectancy * instrumentality = motivation (Iyer, 2009). If a promotions are only awarded based on seniority, then a new employee is unlikely to put forth effort that would otherwise get them promoted. Since link between obtaining what they want and what is done is non-existent, instrumentality is low (Redmond, 2010). An employee with a postiive level of expectancy believes that exerting effort will result in a positive outcome for them. If the same employee has a high level of instrumentality, they would believe that their rewards (outcome) are based on job performance. Finally, if an organization offers rewards that the employee values (valiance) such as promotions, bonuses, and/or fringe benefits like a company car, then the employee would be considered to be a motivated one. Expectancy is a person's strength of conviction in regards to the ability to attain goals. People who desire the rewards that management is expected to bestow upon them, on account of superior performance, should have strong convictions regarding their ability to deliver. An employee who is not positively oriented with respect to the perceived consequences of the attainment of goals, will have a zero valence. Employees should feel that the efforts that he/she would like to put into work would yield the desired results. It is ultimately a question of how confident one feels about oneself. A self-proclaimed achiever may be immensely confident of the ability to perform astoundingly high, while a skeptic may have an entirely different perspective. An employee who feels that the efforts will not yield the desired results, in terms of achieving the set targets, will have a low probability of expectancy. Probability of an event can assume values between 0 and 1. How well an employee scores on this scale of confidence will have a direct bearing on the employee's level of motivation (Iyer, 2009). When deciding among behavioral options, individuals select the option with the greatest motivational forces (MF). In terms of the above Motivational Force equation, when anyone of these products are zero then the whole equation becomes zero. If a person does not have one of the three products, then overall motivation is lacking. "Since it is a popular motivational theory in I/O Psychology, many studies have been conducted in the United States, as well as other countries" (Matsui & Terai, 1975), to test the efficacy of the Expectancy Theory using between-subjects design and within-subjects design. In between-subjects design studies, groups of people are asked questions about their expectancies, instrumentalities, and valences with a motivational force score computed for each person. The motivational force score is combined with performance ratings given by supervisors for a total force score. "This type of study distinguishes between the most motivated, and the least motivated employees" (Redmond, 2009). Within-subjects design, by contrast, studies how one individual is motivated by different tasks. In this study, a person is given different tasks and is provided a force score for each to determine which task the person is more highly motivated in. Because Vroom developed the Expectancy Theory to account for varying motivation across tasks, the within-subjects design studies are considered better suited for testing the theory (Redmond, 2009). For each person, a correlation is computed between predictions of effort made by the theory and actual amounts of effort expended on tasks (Redmond, 2009). From the research that has been conducted to test the theory, overall results suggest that the theory can be useful as a predictor of the choices people will make when given different tasks, and remains a popular theory in the workplace. The strongest support in favor of this research was shown for valence, instrumentality, and expectancy as individual components, which showed higher correlations and predictions resulting for within-subject design studies, rather than the motivational force score or the total force score (Redmond, 2009). Jay Caulfield, from Marquette University, used Expectancy Theory as a framework for his research study. This study was to investigate the motivational factors that may contribute to students providing anonymous feedback to teachers. “Expectancy theory has been more effective in predicting motivation when the subject being studied had more discretion in performing a task” (Caulfield, 2007). Since the evaluation process is completely anonymous, it makes sense that Expectancy Theory is a good choice for predicting student’s motivation for filling out the evaluations in the first place. The purpose of using Vroom’s Expectancy Theory now, was to determine the outcome the students believed would be attained by providing these evaluations (Caulfield, 2007). The results of the study indicated that “students’ motivation was dependent upon the importance to them of improving the value of the class and of future classes, and the expectation that their formative feedback would lead to increased value for them, their peers in the classroom and for students in future classes” (Caulfield, 2007). The findings conclude that it is important that the teachers stress that the evaluations are very important tools for improving the learning and teaching experiences in the present, and the future. Another research example involves business students nearing their masters’ degree certifications at Carnegie-Mellon University. The purpose of the study was to predict the appeal of potential employers using a questionnaire to evaluate which goals people believed to be most important. Goals included “chance to benefit society, freedom from supervision, and high salary”. After establishing the rank of individual goal preferences, the individuals evaluated three companies of interest to determine the degree to which each student believed they would be able to satisfy his or her goals. After combining these two variables, an instrumentality-goal index was calculated for each company and was given an attractiveness rating. The results of the study noticeably indicate that companies seen as providing a means towards attaining important goals were most attractive. This study showed that 76 percent of students chose the company that had the highest instrumentality score. This study exemplifies how Vroom’s research results are consistent with his theory. Years later, after following the actual employment, similar supporting evidence was also found (Miner, 2005). Another research study in expectancy tested the hypotheses that the behavior of some individuals are determined by personal expectancies while the behavior of other individuals are determined by social norms. The researchers took two groups of people and gave one group personal expectations about their behavior. The other group was given information on what the social norms were for the time being. The researchers found that strong expectancy behavior correspondence was given for those individuals who were aware of personal expectancies but who were not knowledgeable about social norms. For those individuals who were attuned to social norms, their behavior corresponded with such (Miller & Grush, 1988). During 2009 another research study was conducted by Richard Johnson at the University of Toledo’s Criminal Justice Department in order to explain patrol officer drug arrest activity and find ways to influence work output. (Johnson, 2009) The researcher developed four hypothesis based on the expectancy, instrumentality, valence, and overall motivation described in the Expectancy Theory. The first hypothesis was officers will make more drug arrests if they are given direct expectations to do so. Second, officers who have the proper capabilities through sufficient training and equipment will make more arrests. Thirdly, officers who have the opportunity by way of their shift or time between calls will make more arrests. And finally, officers who perceive that their department and supervisors will provide more rewards if they make more drug arrests will more likely be more productive. (Johnson, 2009) The data was collected through self reporting surveys with various response rates. The dependent variable in the study was the individual drug arrest rate of each respondent. The independent variables were drawn from and grouped based on the results of the survey. They included, management priority for expectancy, having adequate equipment for capability, opportunities, and for valence either rewarded or not rewarded because of the variety of what an officer perceives as a reward. (Johnson, 2009) The data was input into a correlational analysis with varying results. There was a significant effect between management’s expectations and the number of drug arrests. Under capability, there was significant effect between perceptions of being properly equipped and arrests but the correlation was negative and therefore unexpected. Opportunity did show a significant effect as well but the single greatest predictor of drug arrest rate related to the rewards perceived to be available. (Johnson, 2009) The overall purpose of the study was to explain the variation in arrest rate between officers by relying on evaluating organizational factors. The results seem to indicate that each part of the Expectancy Theory plays a role, but the overall best predictor was the end rewards or valence of the overall expectancy. Expectancy theory has been researched and studied in various ways. According to the Oxford handbook of motivation, expectancy theory is “more often used as an organizing framework for generating and testing context-specific hypotheses. For example, researchers have applied expectancy theory to guide the development of models to explain Work Motivation 4 variations in DUI arrests among police officers (Mastrofski, Ritti, Snipes, 1994), efforts by middle managers to champion issues for senior executives to pursue (Ashford, Rothbard, Piderit, Dutton, 1998), home runs hit by major league baseball players (Harder, 1991), and strategic decisions in competitive markets (Chen & Miller, 1994)” (Grant & Shin, 2011). Current research has been done from the theoretical perspective. Expectancy theory has been useful in explaining that initiating new behaviors depends on the values the individual has received by a particular outcome or goal (Wood, Logar, & Riley, 2015). Organizations and the people in them are motivated to engage in behaviors that will lead to attainable goals, not ones they believe to be unattainable (Wood, et al, 2015). If people are provided the proper resources to obtain the desired goal, they will have more belief in themselves that they can attain a desired goal. Providing motivation to people along with the proper resource availability is the most successful combination in order to increase activity (Wood, et al, 2015). The person using these tools or resources may not use them for a few reasons. First, they may have no interest in engaging or accomplishing the task. If the person isn't interested in attaining the desired goal, they will not be motivated to expend any effort. Second, they may be unaware of the usefulness of the tool. If they do not know how to use the tool, or see it's utility in attaining the desired goal, they won't be interested in using it. Finally they may be unable to operate the tool either through lack of knowledge or through lack of capability (Wood, et al, 2015). This can affect their self-efficacy as far as their ability to achieve the desired goal. It can be detrimental in their overall motivation. From the results of their current research, it was found that simply increasing awareness of resources raises instrumentality, but does not increase of activity (Wood, et al, 2015). This particular outcome shows the importance of incorporating expectancy, instrumentality, and valence into examples of goal behavior at the same time. The results also tell us that removing things that only block resources does not lead to increases in activity. Making motivation central to the initiation of work activity provides strong theoretical groundwork to explain management operations as they relate to motivating followers (Wood, et al, 2015). Expectancy theory posits that individuals will be motivated when they perceive that their efforts will result in a desirable outcome (PSU, 2014). A fundamental underpinning of expectancy theory is that individuals pay heed to the potential outcome of their actions and the attractiveness of that outcome before they actually engage in that action (PSU, 2014). The three components of expectancy theory are valence, instrumentality, and expectancy. Valence is the positive or negative value that an individual assigns to a potential outcome (PSU, 2014). Expectancy is the degree of belief that an individual has that their effort will lead to an anticipated level of performance (PSU, 2014). Instrumentality is the degree of belief that an individual has that their level of performance will ultimately lead to an anticipated outcome (PSU, 2014). Things that can go wrong at the expectancy level seem most related to beliefs about situational factors such as poor training, low skill, poor staff/communication systems, and poor equipment. Things that can go wrong at the instrumentality level seem most related to reward expectations directly. Depending on the individual’s cognitive perception of reward ideals, these may vary between persons; however, motivational challenges in this area, in general, seem to include expectations/beliefs that: pay is not proportional to performance (pay caps at a certain level, pay is based on favoritism and not related to performance, pay based on time spent with company alone, etc. ), there is little recognition from management of certain departments, personnel, positions, etc., and/or that the power/autonomy given to employees is not related to performance. (depending on whether one seeks a reward of pay, recognition, power, autonomy, etc.). Things that can go wrong at the valence level seem to be most related to whether the type of reward that seems available appears to be one that the employee values. If most employees believe that those who perform best get moved to a distant office, put on “desk-work,” or given the “privilege of working directly with clients,” perhaps only few/certain personnel are interested in receiving those rewards while many others are interested in avoiding them, depending of course on personalities, goals, and interests. Knowing that we don't always get what we expect and want, it is good to know the strengths and weakness to using this type of theory in organizations, in which we can see would the possibilities of a greater outcome be worth the uncertainty of a negative one. When using the expectancy theory within organizations/institutions, an evaluation can be made in regard to two factors that lead to valence (the reward): the expectations of the individual and the belief that their actions will lead to the reward. To utilize the expectancy theory accurately, the within-subject research method is used to evaluate the motivations of the employee. This method of the expectancy theory calculates the difference in motivational levels between tasks of one individual, and that of another. To use within-subject designs, participants are given many different tasks to complete. For each task the researcher computes a force score. This score is used to predict the choices that individuals make among the different tasks. Using these predictions of effort, researchers compute correlations based on the predictions and the actual amount of effort exerted by individuals (Redmond, 2010). 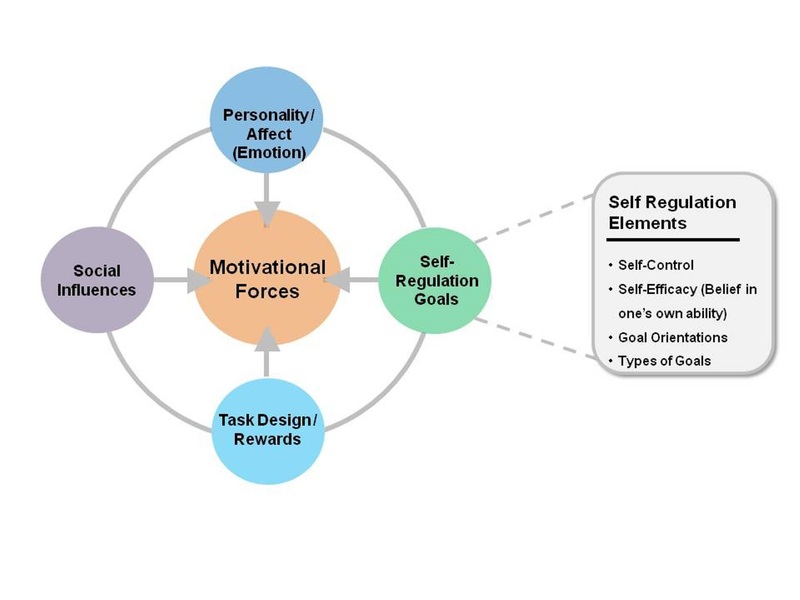 The strength of the within-subject designs reflects the fact that Vroom developed the VIE theory to determine different motivational levels across various tasks performed by an individual, rather than looking at differences in motivation between different subjects(Redmond, 2010). Validity studies show that the average validity coefficients for within-subjects designs ranges in the .50’s and .60’s (Redmond, 2010). Expectations are influenced by incentives and rewards. With proper goals set, this will trigger a motivational process that improves performance. According to Vroom (1995), a person’s motivational force can be equated to the level of expectancy multiplied by the instrumentality multiplied by the valance. If any one of these factors is scored as a zero, then the motivational score will also be zero (Penn State World Campus, 2011). This can easily be seen in situations where a person believes the amount of effort exerted on a task will not result in the desired reward, in cases where the level of performance will not yield the desired results or that the reward will not have the desired value as expected, the individual’s motivational level will be zero (Penn State World Campus, 2011). On the other hand, when all the components of the equation are high, the motivational force will also be high (Penn State World Campus, 2011). By utilizing expectancy theory, organizations are able to understand the importance of demonstrating appreciation for their employees' work, and as a result, their employees will perform stronger, and show more loyalty towards the organization. A major weakness of expectancy theory is using between-subjects designs. Because VIE theory was developed to account for differences within the individual and not across different subjects, looking at these differences does not give valid results. Validation studies have shown that between-subjects designs result in lower prediction validities. The average validity coefficients for between-subjects designs ranges in the .30’s and .40’s (Redmond, 2010). This is clearly lower than validity coefficients for within-subjects designs. The weaknesses of between-subject design can be seen in the differences each person places on the effort, performance and value of rewards. Because this design is quantitative, the comparisons between individuals are hard to measure. Another weakness can be seen in the organizational applications of the theory. In some company’s the rewards some employees receive might not be seen as attractive as many people change their idea of a desired reward. What may have been a good incentive at one point in time, may no longer hold its value to that individual anymore ( Penn State World Campus, 2011). Expectancy theory, by nature, only focuses on the extrinsic motivational factors and the conscious decisions employees make about their performance. Many employees and leaders are not motivated solely by extrinsic factors, such as a paycheck, bonus, or public recognition. As a result, "the concept of instrumentality is found to be ambiguous and difficult to operationalize" (Wabba & House, 1974). Therefore, it is critical for managers and leaders in an organization to really understand what motivates their employees before attempting to utilize the expectancy theory model. The model might best be used in conjunction with other models of motivation, such as the Hierarchy of Needs and Reinforcement Theory, in order to ensure leaders are able to effectively motivate their employees to achieve a higher level of performance. During situations like these, managers may change the type of rewards to ensure they continue to fit the motivational needs required to obtain the desired behavior. Empirical research studies have been conducted that demonstrate that expectancy theory "ignores the rationality assumptions underlying this choice behavior" (Wabba & House, 1974). The assumptions that are made within this theory show that individuals' motivations are consciously chosen. The concept of this assumption is that people contemplate their actions to achieve the rewards, or in other words, it assumes that people consciously know what rewards are in their own best interest. It is also assumed that the contemplation is designed to capitalize on rewards and evade losses. Along these lines, an argument can be made that many individuals might demand a reward system that is based on a short-term time horizon, while forgoing a long-term reward system, even though the long-term system might deliver more valence. Due to the fact that not all motivations are derived consciously, this theory cannot apply to all individuals. Another potential weakness of the expectancy theory is that it assumes all necessities are in place, which is not always the case. Employees need to have the ability, the resources and the opportunity to perform their job well. An example of this would be the role genetics can play as a biological limiting factor of performance (Walker, 2003). Just as an athlete might lack the genetic potential to perform at an income producing level, so to an employee might lack the genetics required to reach a desired level of performance. In this case, knowing what will motivate the employee may not help since the scarcity of available resources makes it difficult to complete their job. The upside of this weakness is it will illuminate areas the employers may need to revisit and make decisions regarding the resources available and/or the employees performing the tasks. The expectancy theory “falls short of explaining how employees update and change their beliefs over time (Mitchell & Biglan, 1971). For example, valence beliefs can change as employees realize that their actual satisfaction with an outcome is different (e.g., lower or higher) than the satisfaction that they anticipated (e.g., Wilson & Gilbert, 2005)” (Grant & Shin, 2011). When employers are utilizing the theory in the workplace being cognizant of the fact that peoples needs and wants change allows them the opportunity to reevaluate the effectiveness periodically. A leaders' ability to understand expectancy as related to the E-P linkage can be extremely useful in the workplace. There are five distinct components for a leader to keep in mind concerning this linkage. First, a leader needs to present a reasonably challenging assignment to the employee. It has been shown that unchallenging work leads to boredom, frustration and marginal performance. Challenging work allows for self-confidence, education, ability development, training, skills and experience, among other things. Second, a leader must consider the follower's ability. Because people differ on experience, knowledge, training, skill, educational level and so forth, tasks need to be assigned based on the individual's level of competence. If an individual feels they are not capable to complete the tasks assigned, the E-P linkage will be weak. A competent leader needs to provide the necessary skills to the individual in order for them to be successful. Third, leaders must recognize that followers differ greatly regarding their levels of self-esteem in regards to completing a task. Confidence will play a significant role in the follower’s ability to perceive their effort as capable of reaching a desired performance output. Fourth, a leader needs to determine and specify which outcomes constitute acceptable performance, and which do not. The outcomes need to be communicated clearly with precised goals that need to be accomplished. Both the follower and the leader need to reach a mutual agreement on the behavior that represents a successful outcome for each of them. Concrete levels of performance allow the follower an accurate assessment of the strength associated with the E-P linkage. Fifth, a leader should recognize that expenditure of effort for many followers leads to satisfaction on the job (Brown & Peterson, 1994). Most individuals want to feel useful, competent, involved and productive. The workplace provides a vehicle to fulfill these needs. A leader that is aware of these distinct aspects of human perceptions, as they relate to expectancy, can effectively understand and facilitate the E-P linkage for each of their employees (Isaac, 2001). Managing these elements effectively allows a leader to strengthen the expectancy of each of their followers. The strength performance output (instrumentality) linkage will be contingent upon three beliefs of the follower. First, a follower needs to be able to trust that a leader will be able to deliver the outcome promised. It is the outcome (given that the outcome is valued by the individual) that drives the motivational state according to the expectancy theory. A followers ability to trust that a leader can and will follow through with an outcome greatly effects the P-O linkage. Instrumentality is rooted in the belief that the performance rendered will result in the outcome promised. Second, leaders need to make sure followers receive fair treatment in a predictable manner. This is not to suggest that people should be treated exactly the same. As we know from this theory, people vary based on individual differences. However, this factor does suggest that treatment needs to be considered fair. The outcome of treatment a follower receives from a specific performance needs to be consistently applied. A follower should come to understand that a particular action is associated with a particular type of treatment. This understanding reinforces the P-O linkage (Isaac, 2001). A leader’s ability to manage the behavior associated with these beliefs will determine how his workers perceive Instrumentality. With valence, there are two issues a leader should concern himself with. First, the attractiveness or value of outcomes differs amongst individuals. A leader needs to be able to identify the value of each outcome from the perspective of the follower. There are several types of rewards that can induce heightened motivational states for individuals. These rewards range from money, to praise, to appreciation, to time off, and so on. Many motivational outcomes are of little or no cost to a company, and these types of rewards become highly valuable motivational tools (Gerhart, Minkoff, Olsen, 1995). The best way for an organization to motivate their employees without tangible rewards is by internalizing the objectives and the goal in the employees. When an organization increases the affinity toward internationalization of the desired behaviors and goals, it can directly increase the individual's perceived value of the objective (Wood, et al, 2015). ( Once a valuable outcome is identified, the motivational force equation can be established. Second, leaders must put a lot of effort into the alignment of the followers’ personal goals and those of the organization. It is extremely important that the goals of the individual worker are assimilated into the goals of the organization. The pairing of these goals is crucial to workplace motivation. If the follower perceives that their goals are congruent with the goals of the organization, the follower's motivational force associated with receiving outcomes of high valence are aligned with the furthering of organizational interests. A leader’s ability to do this will greatly enhance both their understanding of valence, as it pertains to individual followers, as well as give them the ability to use this understanding to motivate workers on the job. A teacher can alter or improve a students’ perception of their ability to learn the material and concepts being presented. This can be done by explaining to students what types of behaviors go along with learning such as reading, understanding the meaning behind the reading, and actively asking questions about the reading and various meanings. In doing this teachers can explain how to do these tasks like taking extra time to read and re-read material, expand the breadth of their reflection about the meanings, and be more active in the classroom. Teachers can also help students understand more by having after class discussions, offering tutoring, or presenting the material in a different format. It is important for the teacher to make connection between the work that is being done and the value of the outcome; how doing well in school relates to life outside of school. "Current research found empirical support for the interaction between expectancy and value in achievement motivation settings" (Penk, Schipolowski, 2015). Research has also showed us that perceived importance doesn't have a large affect on motivating good test performance because the students do not perceive the test to be important (Penk, Schipolowski, 2015). If students view an assignment as something they can accomplish they will not be motivated to even start to work on the assignment. Teachers can adjust the assignment, break the assignment into parts, or redesign the assignment entirely to improve a student’s motivation towards the assignment. Finally Hancock found that the environment could have a negative impact on a student’s motivation towards learning. Distractions like noise and disruptive students should be minimized directly or the disruptive student or class can be moved to a different location. Hancock found teachers could help students understand how their performance in the course is connected to desirable outcomes. Teachers can explain and assure students of what types of rewards exist for them learning this material. Rewards can be receiving positive feedback from parents, earning high grades, gaining entrance into selective colleges, being awarded scholarships, or obtaining a good job. Communication of student’s progress is also important to increasing their motivation to learn according to Hancock. Grades are a primary source of feedback in the classroom but teachers can increase feedback explaining the results of student’s current effort good or bad. Finally students need to perceive teacher’s evaluations and feedback as equitable that it is fair or motivation will plummet. In accordance with expectancy theory each student has different values and views rewards differently. To some student earning and “A” grade may be their primary reward, to others developing skills for future employment may be most important. Teachers should assess each student’s differences and develop outcomes that match their desires and their motivation to learn will improve. Hancock, D. R. (1995). What Teachers May Do to Influence Student Motivation: An Application of Expectancy Theory. The Journal of General Education, 44(3), 171-179. Knowing what factors motivate employees can have positive implications for businesses. Some of these include reduced employee turnover, improved morale and higher productivity. The expectancy theory suggests, however, that people are motivated by different things. Some people are motivated by external rewards, such as a paycheck, paid vacation, or a great benefits package, while others may have more intrinsic motivators, such as recognition, or a sense of belonging. A few simple ways to discover what motivates an individual would be to either ask them directly, or through a less confrontational method of administering a questionnaire, or survey. When the questionnaire method is selected, it can be administered to all company employees and can better facilitate isolating certain variables within the company overall. These isolated variables will bring about improved desired outcomes, such as improved morale and higher productivity. One example of this may include certain external rewards, such as an increase in pay, or some type of monetary bonus. Some other examples might include: providing specialized training for an employee who feels they are lacking the ability and confidence to complete a function in a satisfactory manner, or acquiring a piece of equipment that would improve the efficiency of the employees production. By isolating selected variables, a reward system can be more effectively designed, and can make it possible to determine whether or not the rewards implemented are effecting positive change. The comprehensive reward system should include several different types of rewards so individuals at all levels of the organization with differing motivational drives can strive towards something they perceive as valuable while the organization is continuing to meet its goals and progress. Utilizing the VIE formula will also allow leaders to set motivating objectives for employees (e.g., a high achiever might not be motivated to work hard if the work he/she is performing is mundane. Giving the person harder work, or additional responsibilities might motivate him/her to achieve a higher level of performance). The company will be better off, as more and more employees are motivated to achieve a higher level of performance. Additionally, the workplace can involve more participants than company and employee alone. Labor unions are sometimes considered participants, and can also play an important role in the workplace. Many of such unions have looked into forms of expectancy and expectancy-value theory to build and understand their membership. Much like a company wants to learn what motivates their employees (whether it be intrinsic or extrinsic factors), unions want to know what draws workers to join unions or to vote them out (de-certify). Over time, workers' ideas of unions change, based on different situations and adjustments in work environment. Unions can benefit from understanding what drives these changes, and can learn how to make adjustments to the workers perceptions and expectations of unions. If a worker perceives that joining a union will be of low cost to them (low effort), then the worker might decide that they have the means to join. For instance, if a union is already in place (instrumentality), and what the union offers in pay and/or benefits is perceived as valuable (valence), the worker will be more motivated to join or remain a member of a union (Barling, Fullagar, Kelloway, 1992). Expectancy theory is an important tool in the field of management. Employee motivation is essential in making a team, section, company, or organization run effectively (Steers et. al. 2004). Managers see motivation as an integral party of the performance equation. It is looked as a building block in the development of useful theories of effective management (Steers et. al. 2004). What we have found is that the majority of this research has been written in the 1950’s-1970’s. This means that the ideas we use to motivate most likely were written many years ago but we are still able to apply them to the workforce today. Based on these facts we can assume that there is a need for more, and new research. Over time thoughts and ideas within cultures change. What motivated people years ago may still apply, but with the change in time and mindset there may be better approaches to motivating this new generation of employees. According to Steers, Mowday, and Shapiro, “other fields of management research (e.g., leadership, decision making, negotiations, groups and teams, and organization design) continue to develop conceptually, substantive theoretical developments focusing on work motivation have not kept pace. With the new face of the workplace, including globalization etc. the expectancy theory is one of the few that can be adapted to address motivation in its newfound complexities but further research and breakthroughs could help us become even more efficient and productive. Expectancy theory or VIE theory is one of the stronger theories to help explain motivation. It takes a conscious approach that a reasonable person would be able to apply. A thought process is required to make the connections between performance, effort, and outcomes. One downside to this theory is that sometimes people misinterpret the situation and are not able to align the values properly to the outcome and this disturbs the validity of the process. The Expectancy Theory argues that "people make decisions among alternative plans of behavior based on their perceptions [expectancies] of the degree to which a given behavior will lead to desired outcomes" (Mathibe, 2008). The basic idea behind this theory is that people will be motivated by the belief that their decision/actions will lead to the outcome they desire (Redmond, 2009). In regards to the workplace, Werner (2002, p.335) states that a person will be motivated to exert a high effort if he/she believes there is a good probability that their effort will lead to the attainment of a goal set by their organization, which would then be instrumental in helping that person attain his/her personal goal/desire. The three components of Expectancy Theory are valence, instrumentality, and expectancy. All of these components need to be strong in order for the motivational force to be high. This means that if the expectancy of the individual is a zero, no matter how high the valence or instrumentality is, the score will be zero and the motivation will be gone. This theory is a well-researched theory with numerous strengths and weaknesses and is applied in many organizations today. It also is different between people whereas other theories have a more general approach. Ashford, S. J., Rothbard, N. P., Piderit, S .K., & Dutton, J. E. (1998). Out on a limb: The role of context and impression management in selling gender-equity issues. Administrative Science Quarterly, 43, 23-57. Brown, S. P. & Peterson, R. A. (1994). The effect of effort on sales performance and job satisfaction. Journal of Marketing, 58(2), 23-24. Chen, M. J., & Miller, D. (1994). Competitive attack, retaliation and performance: An expectancy-valence framework. Strategic Management Journal, 15, 85-102. Fang, C. Y. (2008). The moderating effect of impression management on the organizational politics performance relationship. Journal of Business Ethics, 79(3). Cualfield, J., (2007). What motivates students to provide fe (edback to teachers about teaching and learning? An expectancy theory perspective_. International Journal for the Scholarship of Teaching and Learning, 1(1)_.
Dovepress (April 29, 2015), Applying Expectancy Theory to resident training: proposing opportunities to understand resident motivation and enhance residency training. Retrieved March 22, 2016, from: http://www.ncbi.nlm.nih.gov/pmc/articles/PMC4425242/. Gerhart, B., Minkoff, H. B., & Olsen, R. N. (1995). Employee compensation: Theory, practice, and evidence. In G. R. P. Ferris, S. D. Rosen, & D. T. Barnum (Eds. ), Handbook of Human Resources Management. Cambridge, MA: Blackwell. Global, ProQuest. Web. 11 Sep. (2009). Harder, J. W. (1991). Equity theory versus expectancy theory: The case of major league baseball free agents. Journal of Applied Psychology, 76, 458-464. Isaac, R. G., Zerbe, W.J., & Pitt, D. C. (2001). Leadership and motivation: The effective application of expectancy theory. Journal of Managerial Issues, 13(2), 212-226. Johnson, R. R. (2009). Explaining Patrol Officer Drug Arrest Activity Through Expectancy Theory. Policing , 6-20. Mastrofski, S. D., Ritti, R. R., & Snipes, J. B. (1994). Expectancy theory and police productivity in DUI enforcement. Law & Society Review, 28, 113-148. Matsui, T., & Terai, T. (1975). A cross-cultural study of the validity of the expectancy theory of work motivation. Journal of Applied Psychology, 60(2), 263-265. Miller, L. E., Grush, J. E. (1988). Improving predictions in expectancy theory research: Effects of personality, expectancies, and norms. Academy of Management Journal, 31, 107-122. Miner, J. B. (2005). Organizational behavior I: Essential theories of motivation and leadership. Armonk, NY: M.E. Sharpe. Mitchell, T. R., & Biglan, A. (1971). Instrumentality theories: Current uses in psychology. Psychological Bulletin, 76, 432-454. Pinder, C. C. (1984). Work motivation: Theory, issues, and applications. Glenview, IL: Scott, Foresman and Company. Redmond, B.F. (2014). Lecture on expectancy theory (Lesson 4). Personal Collection of B.F. Redmond, Penn State University, University Park, PA.
Stecher, M., & Rosse, J. (2007). Understanding reactions to workplace injustice trhough process theories of motivation: A teaching module and simulation. Journal of Management Education, 31(6), 781. Thorndike, E. L., (1921). Educated psychology: The psychology of learning. New York: Teachers College, Columbia University. Tolman, E. C., & Honzik, C. H. (1930). Introduction and removal of reward, and maze performance in rats. University of California Publications in Psychology. VanderZwaag, L ., (1998), Edward C. Tolman, Muskingum University. Retrieved from http://www.muskingum.edu/~psych/psycweb/history/tolman.htm. Vroom, V. (1964). Work and motivation. New York, NY: Wiley. Walker, J. (2003). Self Realization Approach. SR Consulting, Performance & Sport Psychology Website. Retrieved February 9, 2010, from http://srconsulting.net/about_sr_theory.html!story5.jpg! Werner, A. 2002. Leadership. In: Nel, P.S., Gerber, P.D., Van Dyk, P.S., Haasbroek, G.D.
Wilson, T. D., & Gilbert, D. T. (2005). Affective forecasting: Knowing what to want. Current Directions in Psychological Science, 14, 131-134.